Locker rooms are mostly thought of as a place for athletes to change, shower and store their gear. Although that is its main purpose, a locker room plays a much more important role in an athlete’s world. 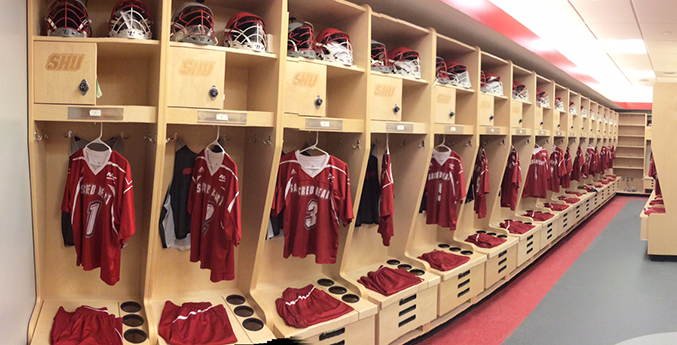 A locker room is the place for athletes to mentally prepare before practice and games. A place for them to catch their breath and relax after a tough workout. A locker room is a place to regroup at halftime and draw up a new game plan. It’s a place that reminds student-athletes why they are competing for their school. A place where teammates can give each other advice and talk candidly about their sport. It’s a place to blast a pregame music playlist. A locker room serves as a space to unwind and gather thoughts when the coaches and media are not around. It’s a place to reflect and grow. A place for student-athletes to study. It’s a place where athletes talk about the weather and make plans to hang out for the weekend. A locker room is a place where teammates become lifelong friends. It’s a place that becomes an athlete’s second home. 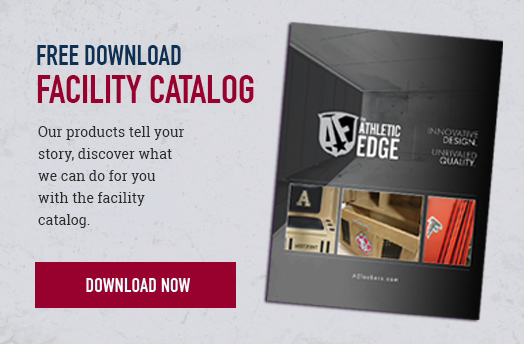 It might seem like a very simple concept, but locker rooms serve many important purposes throughout an athlete’s career. We value that here at The Athletic Edge and that is why we put such thought and care into our products. 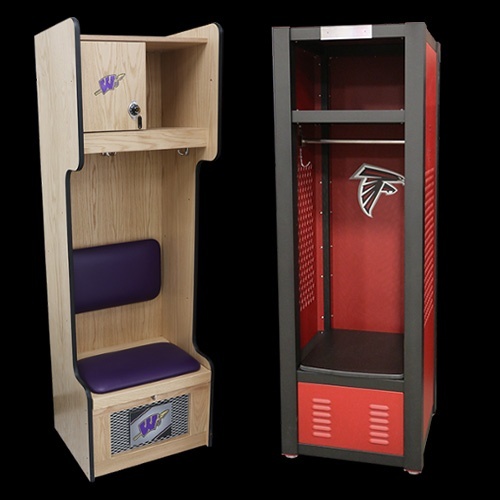 From redesigns to new builds, we can help inspire your team to greatness with our high-quality, beautifully crafted lockers.